Ashwaganda plant, Withania somnifera, is also known as Indian Ginseng, Ayurvedic Shrub and Withania. Highly esteemed as Indian medicinal plant. The dried root is used in the Ayurvedic system as a general, or strengthening, tonic. Primarily as a remedy for sexual exhaustion, weakened immune system and chronic fatigue syndrome. A Modern folk remedy for multiple sclerosis. 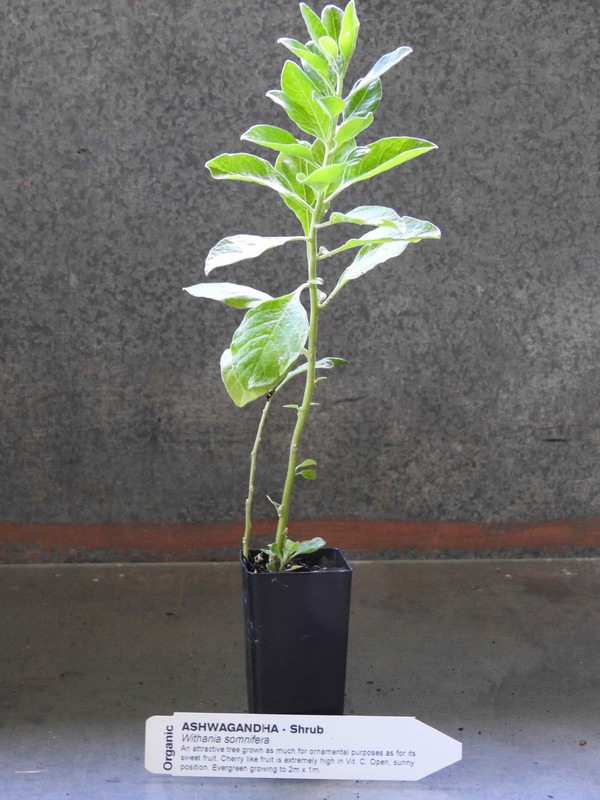 Ashwaganda plant is native to Africa, the Mediterranean area, India and Asia and prefers light to medium well drained soils in a protected, sunny position. Will tolerate a light to medium frost. Grows to a height of 0.75m with a spread of 0.75m. A tropical evergreen shrub that becomes an annual in temperate regions. Be the first to review “Ashwaganda, plant” Click here to cancel reply.